Shark Man is the follow-up to my childhood memoir Dragonfly, which chronicles my early years growing up in south Texas at the hands of a mean stepfather. Shark Man picks up where Dragonfly leaves off, but it's not written as a memoir. 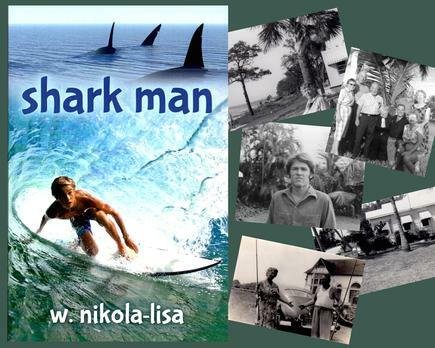 Instead, tapping my actual surfing experiences as a teenager growing up on the Florida beaches, I decided to write Shark Man as a novel for the middle grade reader. Having fled their cruel stepfather in Texas, Billy-Boy and his sisters arrive in Florida with their mother at the beginning of summer. Billy-Boy quickly befriends Tim, and all is well until it becomes clear that they both like the same girl, Mae Beth, who is the daughter of the local surf shop owner. Billy-Boy has to learn how to navigate new terrain, while struggling to overcome feelings about his stepfather. He is helped by the insights of an older teenager, known locally as “Shark Man,” and Sonny, Mae Beth’s father, who helps him understand both the mysteries of the ocean and his inner self. 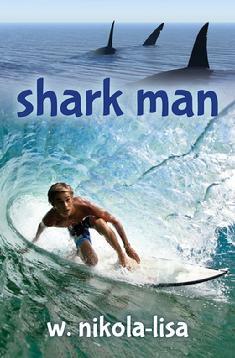 Shark Man is a piece of autobiographical fiction set in Florida. I spent my teenage and young adult years surfing up and down the east coast of Florida. My grandparents moved to southern Florida in the 1950s and my mother, a single mom, moved there in the mid-1960s. I still have a lot of fond memories of Florida's beaches and the good times I had there with friends.